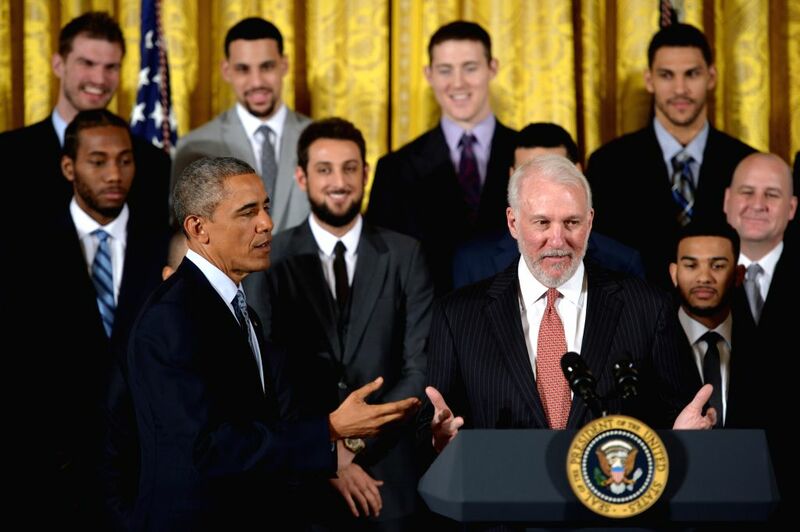 WASHINGTON D.C., Jan. 13, 2015 - U.S. President Barack Obama (L) reacts as San Antonio Spurs head coach Gregg Popovich (R) speaks during an event honoring the 2014 NBA champions the San Antonio Spurs in the East Room of the White House in Washington D.C., the United States, on Jan. 12, 2015. 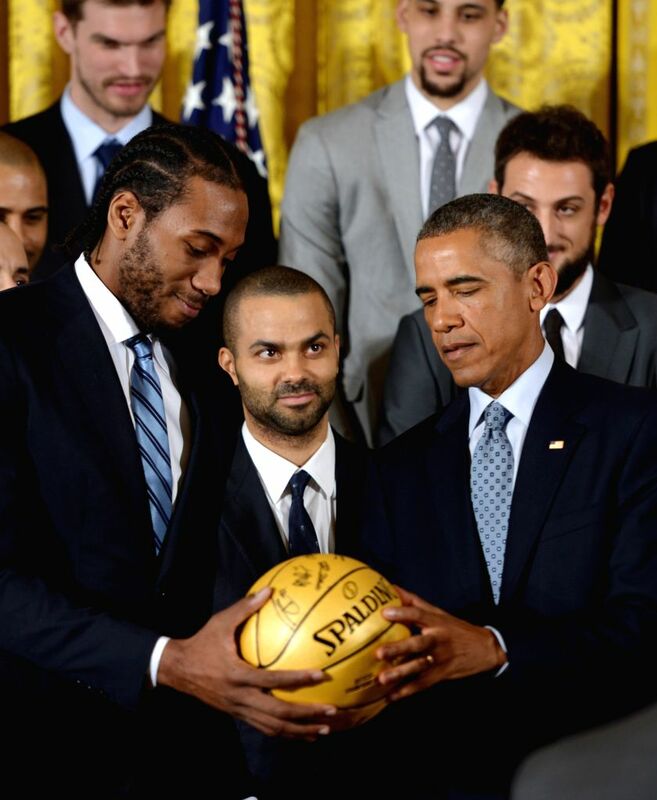 U.S. President Barack Obama (R) is presented an autographed basketball by Kawhi Leonard during an event honoring the 2014 NBA champions the San Antonio Spurs in the East Room of the White House in Washington D.C., the United States, on Jan. 12, 2015. 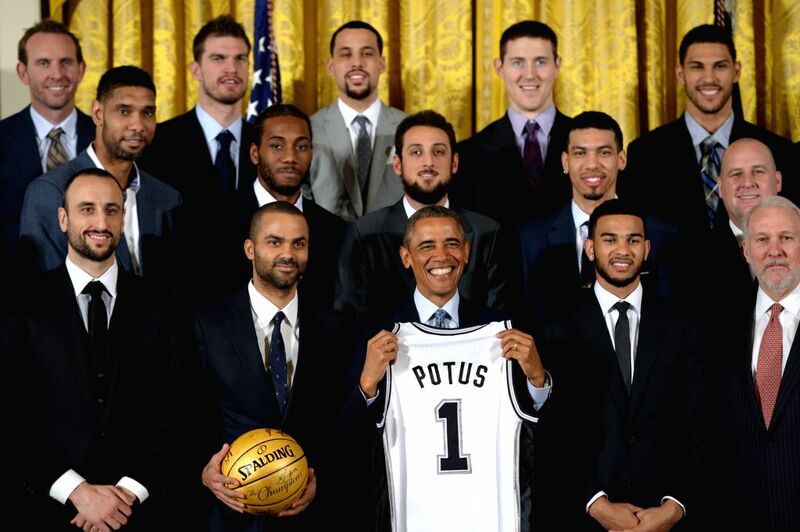 U.S. President Barack Obama (C) poses for group photos with members and coaches of San Antonio Spurs during an event honoring the 2014 NBA champions the San Antonio Spurs in the East Room of the White House in Washington D.C., the United States, on Jan. 12, 2015.